Ladds Addition is a distinctly Portland neighborhood. As part of the larger Hosford-Abernethy neighborhood, Ladd’s Addition sits very close-in on the east side of the Willamette River. I walk or ride into this neighborhood and I am immediately wowed and happy to call Portland my home. The neighborhood is full of many styles of homes, including Colonial Revivals, Craftsman, Bungalows, Four Squares, Tudors, Story Book Homes, and more. 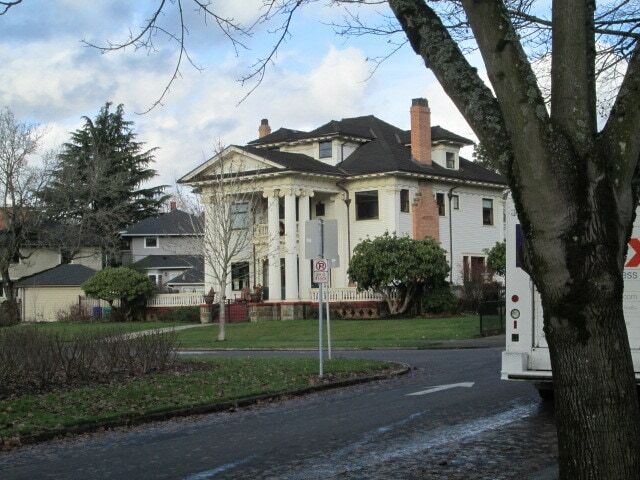 The History: Ladd’s Addition is named after William S. Ladd, and is one of Portland’s oldest neighborhoods. William Ladd, who lived in the mid-19th Century, was a Portland mayor and owned 126 acres of farm land in what is now Southeast Portland. Most of the homes were built between 1905 and 1930. 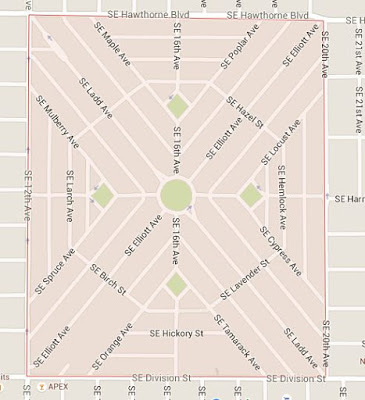 The Circles of Ladd’s: A relatively small area, it spans from SE 12th Avenue to SE 20th Avenue, and then from SE Hawthorne Boulevard to SE Division Street. Ladd’s Addition is unique because it has diagonal streets in the middle of a section of a city on a square grid. The streets in the neighborhood radiate out from traffic circles, creating an almost European feel to the neighborhood. The design also has its hazards. Sometimes referred to as the “Bermuda Triangle of Portland,” newcomers to the area get lost easily as they try to navigate through it. Learning About Ladd’s: I think it’s worth the adventure to visit Ladd’s Addition. I first discovered this neighborhood not too long after I moved to Portland. I was heading into downtown along one of Portland’s Neighborhood Greenways, and the route took me right through the heart of Ladd’s Addition. On my return trip, my sense of direction was out of whack, and I ended up exiting the neighborhood from a different angle than where I entered. It took me awhile of going in and out and around traffic circles before I found my way home. However, it was worth it. I loved the neighborhood and couldn’t wait to ride through it again. Riding Ladd’s: Ladd’s Addition is in fact at the center and acts as the hub for many Southeast bike routes into downtown. Head into downtown from Mt. Tabor, Hawthorne, or even Woodstock, and you’ll. ride through Ladd’s Addition on your way to downtown. 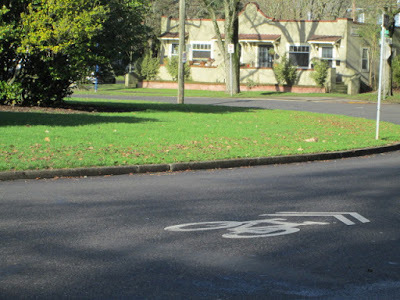 You will find way signs and sharrows all throughout the neighborhood and on the streets. You will see bike riders at all times of the day and in all seasons. In fact, the area boasts a bike score of 98! Walking Ladd’s: The neighborhood is also very walkable, with a walk score of 89. Both the SE Hawthorne and SE Division Street districts are within easy walking distance. The center circle in Ladd’s Addition has a great little coffee house, Palio. It’s a great place to take a walk. Look for all the beautiful churches and parks, admire the homes, and take in a sense of Portland. Learn more about Ladd’s Addition and Hosford-Abernethy. Which architectural style is this? The area is full of homes designed using many styles.